Is the 1988 Carbon-14 Dating In Error? 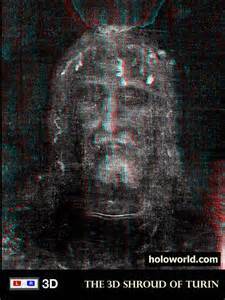 This website focuses on the latest dating challenges of the Shroud of Turin. Although most Christians consider the Shroud to be the genuine burial cloth of Jesus, the results of the 1988 c-14 (carbon-14) dating has been puzzling. 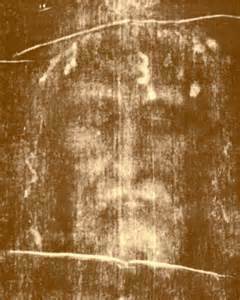 Firm believers in the authenticity of the Shroud were confident of a serious dating error (or incredible oversight in the c-14 dating process). We dedicate this website to the remembrance Brendan Whiting, who's 2006 book "The Shroud Story" introduced the world to the most powerful evidence that the 1988 Shroud c-14 data (dating the Shroud in the 14th Century) was invalid. Breaking News: Brendan Whiting's conclusions were correct! "Today, thanks to a multidisciplinary work promoted by the University of Padua and lasting fifteen years, the team led by Giulio Fanti shows that the radiocarbon dating has been distorted by environmental contamination, and goes right back to the early death of Jesus that traces of dust, pollen and spores from the Middle East to direct, that the body has been depicted on the linen, violence told in the Gospels of the Passion, and the image was produced by the exceptional radiation developed at the time of the resurrection. This book, co-written by Fanti and Saverio Gaeta, is the exciting account of a discovery and the story of the extraordinary historical events of the most precious and revered relic of Christianity. "The research includes three new tests, two chemical ones and one mechanical one. The first two were carried out with an FT-IR system, one using infra-red light and the other using Raman spectroscopy. The third was a multi-parametric mechanical test based on five different mechanical parameters linked to the voltage of the wire. The machine used to examine the Shroud's fibres and test traction, allowed researchers to examine tiny fibres alongside about twenty samples of cloth dated between 3000 BC and 2000 AD. "Final results show that the Shroud fibres examined produced the following dates, all of which are 95% certain and centuries away from the medieval dating obtained with Carbon-14 testing in 1988: the dates given to the Shroud after FT-IR testing, is 300 BC ±400, 200 BC ±500 after Raman testing and 400 AD ±400 after multi-parametric mechanical testing. The average of all three dates is 33 BC ±250 years". Last year scientists were able to replicate marks on the cloth using highly advanced ultraviolet techniques that weren't available 2,000 years ago -- or during the medieval times, for that matter. Research in the 1980s suggests the image was "forged" on the cloth between 1260 and 1390, but scientists have determined the hypothesis was based on testing material from a patch likely used to to repair the cloth after a fire, the BBC reports. 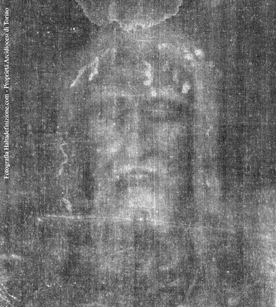 Since the shroud and "all its facets" still cannot be replicated using today's top-notch technology, researchers suggest it is impossible that the original image could have been created in either period. However, scientists are willing to point out the flaw in their findings. The Vatican Insider reports: "This inability to repeat (and therefore falsify) the image on the Shroud makes it impossible to formulate a reliable hypothesis on how the impression was made". Like an adept investigative reporter, author Brendan Whiting closely followed, attended the fundamental landmark conferences (including the International Symposium in Dallas in 2005) and wrote on the breakthrough results. Whiting’s 2006 book "The Shroud Story" was the vehicle that introduced many to the newest, most credible challenge to the 1988 c-14 dating ever, particularly when the mainstream media was ignoring these discoveries completely. Many Christians are grateful to Whiting for first knowledge of the recent refuted dating challenge, as well as his gifted ability to describe the sequences of events in an unambiguous manner. Whiting died of leukemia in January of 2009. Catholic Weekly reported on January 11, 2009: "The author of one of the most influential books on the Shroud of Turin, Brendan Whiting, has died in Sydney, aged 73. His book, The Shroud Story, published in 2006, rebutted scientific tests carried out in 1988, that interpreted the shroud as a fraud made in the 14th century. It renewed support for the authenticity of the Shroud on the persuasive grounds that the tiny samples of cloth taken for chemical testing were remnants of nearly invisible mending done in the Middle Ages and that in 2005 further examination of the corner of the cloth from which samples for testing were taken proved to be different in chemical composition from the main part of the cloth. 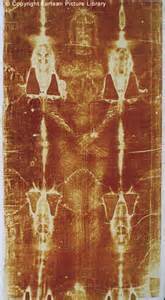 It also listed the findings of an international group of 24 scientists that the Shroud of Turin was surviving evidence of the crucified Christ and an expert’s assertion that the material, weave and style of the shroud were from the Dead Sea area, dating from the first century AD" (1). Brendan Whiting’s "The Shroud Story" rebuts scientific carbon dating tests while presenting readers with supported insight into the most recent compelling explanations. Brendan presents scientific evidence in layman’s terms how the fabric edges appear to have been mended in medieval times via a meticulous re-weaving process. The carbon dated samples were taken from this very same outside edge, which would accurately reflect the period of the added material, but not that of the original main Shroud body. Whiting describes reports of fibers detected from an area of cloth directly adjoining the tested samples retaining a gum coating not found on any of the fibers from the main part of the shroud. The identified coating appeared to be a gum arabic substance. Gum arabic was routinely used during re-weaving repairs to manage the threads. Furthermore, Whiting explains how (Shroud of Turin Research Project) STURP Chemist Raymond N. Rogers uncovered cotton fibers in the tested sample areas of the Shroud cloth, but no cotton fibers in samples taken from the main part of the shroud during the 1973 examination. These two combined clues (isolated gum arabic as well as added cotton fabric) strongly indicate that the carbon dated samples were taken from repair fabric utilized in the re-weave process at a later date. Whiting said this fact had not been discovered by the coordinators of the tests because, although the original protocol had called for the chemical analysis of the samples prior to their destruction during testing, the three testing laboratories did not perform the analysis. When this evidence is taken into consideration, the carbon dating cannot reflect the date of the untested original main Shroud body, only the period of the tested material added at a later date. Moreover, Rogers found that the Shroud sample used for radiocarbon dating contain alizarin dye (utilized by the re-weavers to match the original main cloth), whereas no dye of any form was found on any part of the original Shroud cloth (2). Whiting believed the Shroud of Turin to be genuine, in The Shroud Story he wrote: “Like an epiphany, it seems science has kept resurrecting evidence that the shroud indeed dates back to the time of Christ, as if repeatedly defying those who have attempted to condemn it as a medieval fake” (3). Researchers conclude it was created by UV light unknown in Middle Ages. Italian scientists gave the Christian world an unexpected present and set off an international news sensation by announcing their finding that the image of the crucified man on the Shroud of Turin was likely caused by a burst of ultraviolet light that was beyond the technical capabilities of medieval forgers. ENEA (National Agency for New Technology, Energies and Sustainable Economic Development) published a report after 5 years of research conducted on the Shroud, in which it was determined that the wattage of UV radiation required to produce the image cannot be reproduce by even today's technology.